Let’s face it: Walt Disney World is expensive, and the cost of most meals carries a stiff price tag. There are various options for trying to mitigate the high cost of dining during a vacation at Walt Disney World. Buy groceries and feed your family with simple things that are easy to prepare. While this usually means preparing light quick meals or snacks in your room, those in 1-BR and larger units with full kitchens can cook full meals in their room. This thread focuses on the last option. DVC Members have three main options. One of the “perks” of DVC membership are some dining discounts. The coverage of locations where a discount is available is much more limited than either the DDP or TiW. The discount is also 10% for most spots (with a few offering 20%). 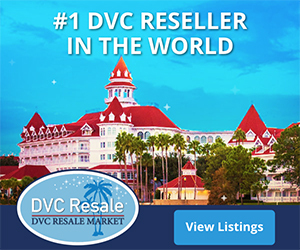 Check the DVC member web site for a list of locations and discounts. Note: Effective April 4, 2016, Members who do not purchase their ownership interest directly from Disney Vacation Club will not have access to Membership Extras, such as dining discounts. The Disney Dining Plan is a very popular part of many people’s Walt Disney World vacation. Disney markets it as a convenient and affordable way of dining at WDW. The DDP is a prepaid meal plan offered so guests can budget their dining costs in advance and (potentially) save money. Many people really like the fact that everything is pre-paid (and thus can be a fixed cost of your vacation budget), as well as the ease of using the system. 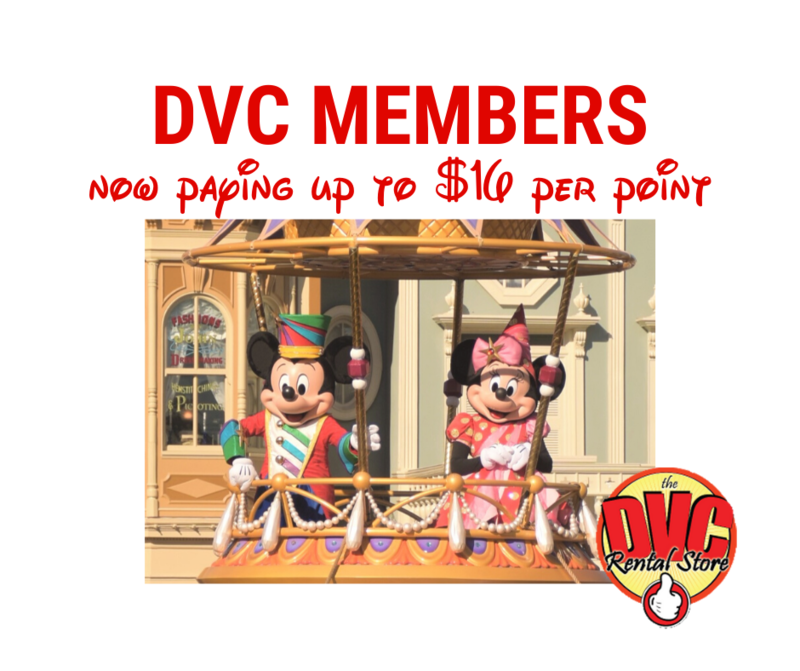 DVC Members can purchase the DDP. Over the years the DDP has been modified and there are different variations of it (quick service, basic, and deluxe). Disney says you can save on your meals by purchasing the plan; however your actual savings really depends on how you choose to dine during your vacation. If most of your family are light eaters, or you don’t order the most expensive items on the menu, then your savings will be reduced or eliminated altogether. In some cases, the DDP can cost more than if you just paid out of pocket. Gratuities are not included except at dinner shows and CRT, and an automatic 18% gratuity charge will be added to your bill for parties of 6 or more. Alcoholic beverages are not included in any of the dining plans. 2016 Quick-Service Dining Plan – includes two (2) Quick-Service Meals and one (1) Snack per person, per night of your stay for everyone in the party ages three and over, beginning after check-in to your Disney Resort. The plan also includes one (1) Rapid Fill Resort refillable drink mug per person that is valid for the length of your stay. 2016 Disney Dining Plan – includes one (1) Quick-Service Meal, one (1) Snack and one (1) Table-Service Meal per person, per night of your stay for everyone in the party ages 3 and over, beginning after check-in to your Disney Resort. The plan also includes one (1) Rapid Fill Resort refillable drink mug per person that is valid for the length of your stay. 2016 Deluxe Dining Plan – includes three (3) meals and two (2) snacks per person, per night of your stay for everyone in the party ages 3 and over, beginning after check-in to your Disney Resort. The plan also includes one (1) Rapid Fill Resort refillable drink mug per person that is valid for the length of your stay. You have to plan out where you will eat and what you might order to achieve maximum value with the plan. In the early days of the DDP, it was a great value. However, as the DDP has changed over the years, it’s become less of a value proposition and more just a convenience than a money saver. I believe its become more difficult to save money with the DDP, although you still can. The DDP can be a great value or a poor value depending upon how you will use it. Some people like the DDP just because they don’t have to worry about what it’s going to cost, and they can simply enjoy the meal. With the DDP, you can order anything off the menu without worrying what it costs, allowing you to be a more adventurous eater. These people are happy with prepaying for the DDP, even if it does not save them money, as it saves them headache and grief as they worry about what their family members are going to order and how much it will cost. If you do want to maximize the monetary value of the DDP, go to places with the more expensive items on the menu (that cost the same number of credits). TiW is a discount card that you can purchase if you are a DVC member or Annual Pass holder. The card entitles the user to a 20% discount on food and beverage at certain table and quick service restaurants. An automatic 18% gratuity is included when using the TiW card, regardless of the size of the party. Some claim that because there is an automatic 18% gratuity added, you are only really saving 2%, but that’s poppycock. Yes, you’d only save 2% if you never, ever leave the server a tip. Since most people are tipping at or around 18% anyway, it’s not merely a “2% discount”. Note that the discount is taken on your check and then the gratuity is added based upon the pre-discount amount. 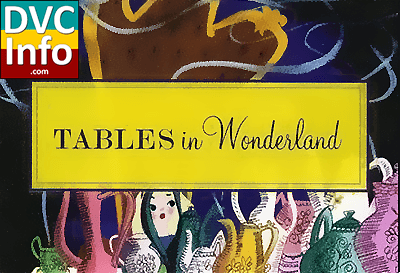 Tables in Wonderland will provide a discount for up to 10 guests, as long as one of them presents their membership card during the meal. It provides free valet parking if you eat at a Disney resort. Unlike the DDP, which does not include appetizers or alcoholic beverages in its pricing, the TiW card your 20% discount applies to the entire meal including appetizers and alcoholic beverages. So, if you enjoy a glass of wine at dinner, you should look seriously at the TiW card. A huge benefit of the TiW card is freedom. Unlike the DDP, which forces you to eat a lot of food in order to obtain the benefits, with the TiW card, you can eat just what you want. You won’t feel obligated to get dessert if you are full. You’re not forced to stick within the confines of the DDP. The TiW card costs $150 per year for DVC Members or AP holders (actually, it’s valid for 12-13 months). If that sounds like a lot of money for a 20% discount, you should take a moment to consider how much a table service meal at Disney costs. You need to spend $750 before you break even. What you have to do as a potential purchaser of the TiW card is determine how many days you will spend at Disney during a given year. Then, calculate if 20% of that total (factoring in gratuity) represents a definite savings for you. For frequent guests who enjoy table services, the answer is almost always yes. On the other hand, if you typically eat counter service meals instead of table service meals, then perhaps the TiW card isn’t for you. Finally, the TiW card is not accepted everywhere. Notable exceptions include Victoria & Albert’s, and there are also blockout dates at popular restaurants during peak times when the card is not accepted. Refer to http://tablesinwonderland.com/ for details. The answer, of course, is it depends. It depends upon your family’s dining habits, as well as how often you visit WDW. The comparison of savings under any of the options can deviate substantially from family to family. For us, we’ve found that the TiW card is the best option, as we eat mostly at table service restaurants, don’t want or need the vast quantity of food the DDP provides, and do like a beer or a glass of wine with a meal. There are several calculators and spreadsheets floating around that let you do a financial comparison of these plans based upon your family’s dining habits. It’s difficult to do a true apples to apples comparison, so these tools are not flawless. Even after you decide which one to use, it may be good to revisit your decision, as Disney is constantly tweaking menu prices, as well as the Disney Dining Plan prices and what it covers. Also, you can use multiple options on the same vacation. For example, if you are using Disney Dining Plan entitlements, and you order a bottle of wine, you will be presented with a check for the bottle of wine, at which time you may use your Tables in Wonderland discount as long as the restaurant participates in Tables in Wonderland. Personally, I find the TiW card to be a better overall value for us. However, others who may spend less time at WDW may find the TiW card doesn’t fit, and will most likely choose between the DDP and the DVC discount.